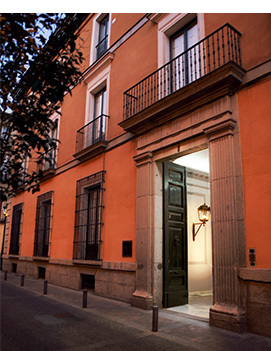 The gallery is specialized in Historical Avant Garde and International Modern Art. For this purpose it has the support of some artist's Estates such as: Juan Barjola, Francisco Bores, Pablo Gargallo, Manolo Millares, Benjamín Palencia, Manuel Rivera and Joaquin Torres García. Georges Valmier, November 2000, January 2015. The hall activity is based on a 5 exhibition plan per season. It takes part in International Fairs like ARCO since 2001, Art Basel Miami Beach since 2009 or Art Basel Hong Kong for its first edition in May 2013 and since 2016 in Arco Lisboa. His exhibitions of Modern Art and Historical Avant Garde complement each other with visions of Contemporary Art paying special attention to realism.The pioneering generation of this trend with artists as Carmen Laffon, Antonio López, Julio López Hernández, Francisco López, Isabel Quintanilla and José Hernández, exhibits regularly in the gallery. Likewise painters and sculptors who continue this language are César Galicia or Gerardo Pita as well as Félix de la Concha, Clara Gangutia, Joaquín Risueño and Juan Carlos Savater are some examples to the link of the gallery with this movement. Amor de Dios, 1 · 28014 · Madrid, Spain.